When a person is part of a legacy like the Pelluers, it can be tough to stand out above the crowd. 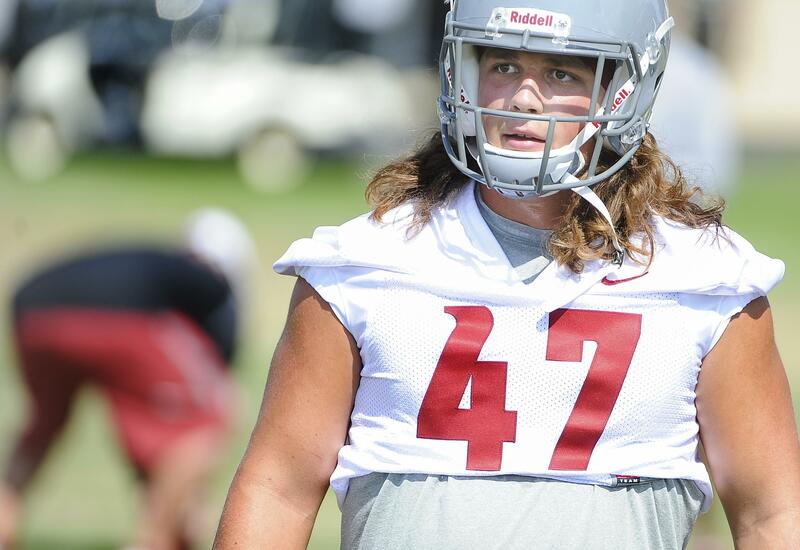 Sure, Peyton Pelluer will likely be a four-year starter for the Washington State defense. Just like his dad, Scott. Maybe the junior will win some All-Conference honors or have a long, notable NFL career. Either way, he will be following in uncle Steve’s footsteps. For Peyton Pelluer, a fourth-generation WSU football player, the sum of his family name’s football achievements will likely always outweigh his own contributions. Fortunately for Pelluer, he excels even without an extra helping of glory. As the middle linebacker in Washington State’s defense, Pelluer is never going to rack up many sacks, nor is he likely to return many interceptions. Pelluer is simply tasked with doing the hard, painful tasks that make the defense work. The Cougars like to force most plays to the middle, where a collision between blockers and would-be tacklers take place. Pelluer is in the center of it all, sifting through the colliding bodies so he can wrestle a ball carrier to the ground. Every time he loses that struggle, the defense pays dearly. The individual weight of Pelluer’s contributions to the success of the WSU defense may be lost on most fans. But that’s of little concern to the linebacker, who is used to contributing to a bigger legacy than his own.